While the biggest events host the latest games, it’s always nice to revisit classics. In Japan, love for Street Fighter III: 3rd Strike never waned, thanks to a vibrant arcade scene. This weekend’s Cooperation Cup highlights the best of the best, in a game almost 20 years old. Cooperation Cup pits teams of Street Fighter talent against each other, brawling for the top spot. This year’s Cooperation Cup is streaming in English as well as Japanese, and it’s been a joy to watch some 3rd Strike played by those still perfecting their craft in it. It’s neat to remember older versions of classic characters like Ken and Chun-li, as well as 3rd Strike favorites who have yet to make their way to modern titles (cough Q cough). The setup on-stage is sublimely nostalgic, with actual arcade cabinets back-to-back and cameras wired to the sides of them. Actual cabs! 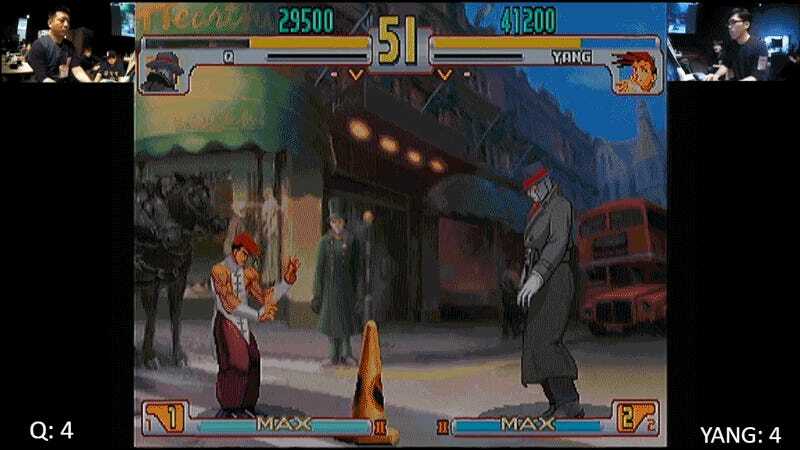 But the beauty is in the fact that these players are still playing 3rd Strike, still honing their mastery. Few games have that kind of competitive longevity while still being intact, untouched by code and patches for so long. It’s truly wonderful, and hey, we’ll get to relive it soon with that 30th anniversary Street Fighter collection. Pre-Cooperation Cup closed out last night, but tonight is the main event. If you want to tune in, the English stream starts on Twitch around 8 p.m. ET.